Once upon a time, in deep Southside Chicago—past the railroad tracks, past old Comiskey Park and just past Washington Park—one could find an opulent, 200-room building called the Pershing Hotel. Located at 64th Street and Cottage Grove, the Pershing boasted a grand ballroom, a cabaret with chorus girls and a street-level lounge where the late-night action was. Home to the jazz greats of the day—Charlie Parker, Lester Young, Dizzy Gillespie—the Pershing Lounge also yielded a surprise hit album in 1958: At the Pershing: But Not for Me, by a young pianist named Ahmad Jamal. When kids ask, "What is jazz?," At the Pershing is an unarguable album to reach for. Full of buoyancy, surprise, exploration and drive, it's everything that a piano trio date should encompass. At the time, the 108 weeks it spent on the charts (thanks to the bouncy "Poinciana") was an unbelievable feat for a jazz album, but today, it's easy to hear the appeal. Consisting mostly of standards like "Surrey with the Fringe on Top" and "Moonlight in Vermont" expertly brought to life in adventurous, swinging arrangements, the recording is quite simply in a class by itself. After the success of At the Pershing, Jamal rerecorded "Poinciana" for a few different labels, many of which hoped he would revisit the pop realm. But Jamal would leave that to his old Argo label mate Ramsey Lewis (who recorded such commercial junk as "Hang on Sloopy") and set off on his own unique path instead, almost always with rewarding results. Signed to Impulse Records in the late 1960s, his playing voluntarily, and successfully, toyed with the outer edges that label so firmly courted, and in the 1970s, he fell under a brief Caribbean spell awash in strings and female backup singers. But one key aspect of his live set remained unchanged. Ahmad Jamal never stopped playing standards. These days, at age 78, Jamal tours constantly, reaping the rewards of longevity. One wonders if he ever drives by the site of the old Pershing Hotel when he's in Chicago, the place that captured one brilliant night of absolute magic 50 years ago. Looking at the exact address from a Google satellite image, it's now part weeds, part dirt—just another empty lot in a depressed neighborhood. Ten cars are parked haphazardly. Leaning walls of dilapidated buildings make up the surrounding area. But oh, if those walls could talk. 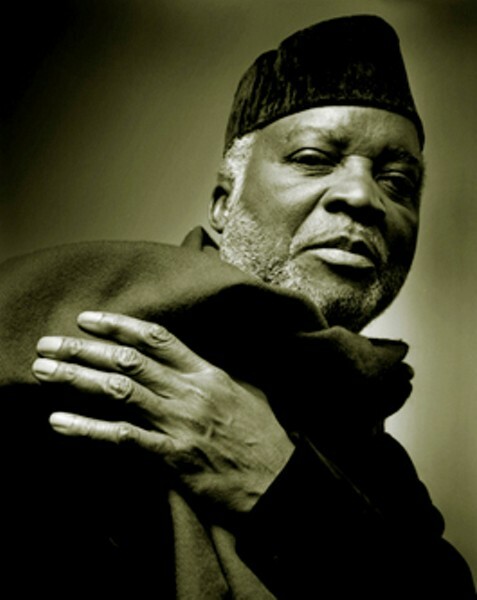 Ahmad Jamal performs with bassist James Cammack and drummer Idris Muhammad on Saturday, Oct. 11, at the Napa Valley Opera House, 1030 Main St., Napa. 8pm. $45. 707.226.7372.